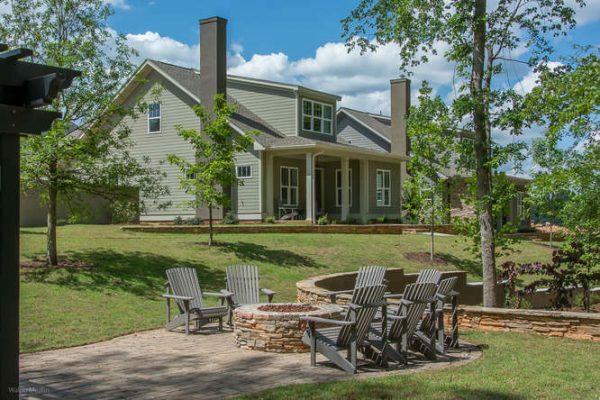 There are so many reasons to build a new home in Saluda River Club – or to purchase a new home that has just been completed in one of our three distinct neighborhoods: the Village District, the River District and the Woodlands District. With nature as our backdrop, we’ve created a resort-inspired lifestyle in a gorgeous, master-planned setting – just for you. Some homeowners say living at Saluda River Club is like being on a permanent vacation. Fitness, clubs, kids’ activities and more make it easy to enjoy life. Our beautiful amenities include the Chickawa Outdoor Center, the Village Club, Community Gardens, Playgrounds and Walking Trails, and so much more. Our community is located within the desirable Lexington District One School System including River Bluff High School, and near major corporate, medical and academic centers in downtown Columbia. Residents at Saluda River Club enjoy easy access to a wide variety of the Midlands’ fine restaurants, art galleries and shops as well as parks, outdoor venues, and bike and nature trails. To learn more about Saluda River Club’s “Welcome Home Experience” and to see yourself living here, please schedule a visit soon. For more information or directions, please call 803-358-3969 or visit www.saludariverclub.com.